The month of July ended with the devastating news of Ryan Gainey’s untimely death. Ryan Gainey was a legendary horticulturist, garden writer, and designer. I had the privilege of meeting him by chance years ago at the Atlanta Botanical Garden and was immediately invited to see his beautiful home and cottage garden in Decatur, Georgia. 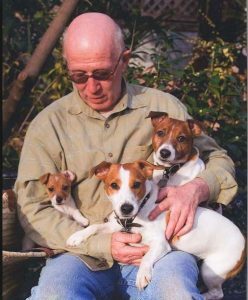 His past kindness, design genius, comfortable Southern roots, and deep and devoted love of his Jack Russell terriers endeared me to him forever. Tragically, he died in a house fire trying to save his beloved dogs, Leo, Jelly Bean, and Baby Ruth. It didn’t matter whether it was interior, floral, or landscape design, Ryan Gainey was a master of it all. I dedicate this next installment of my basic design principles to Ryan and his dogs. 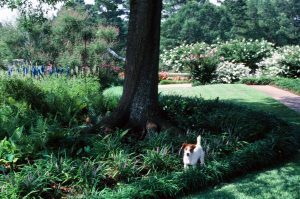 One of the most common problems average homeowners experience when tackling their own landscape design involves the design principle known as scale or proportion. Scale involves the relationship between all visual parts of the landscape to the home and surroundings. It’s a bit difficult to explain in words, but try I will. 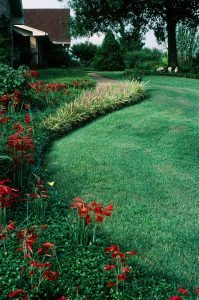 A common notion with amateur gardeners is that landscaping is all about decorating the outside of a home—scattering pretty flowers about, if you will. Wrong. Proper landscaping is about insuring a home or garden belongs to a site, both physically and aesthetically. Homes should comfortably fit into their surroundings like feet in good shoes or baby birds in a downy nest. One concept of scale that is important to grasp right out of the gate is that your landscape includes more than just what you own. Your landscape also includes what is known as the “borrowed landscape,” which is anything that you can see from your landscape. In other words, all views, surrounding buildings, neighbor’s yards, horizons, streets, trees, fences, and forests are all part of the landscape that you have to deal with visually. So like it or not, aesthetically you own everything you can see! If you don’t want to “own it” or deal with it artistically, you will need to screen it from your view, with an appropriate sized screen of course. Without a doubt, the most common downfall in most home landscapes is landscaping on too small a scale for the structure and the site. There are two common reasons for this. First of all, it’s human nature to only look at what’s in front of you or what you legally own. It’s also human nature to look at the trees instead of the forest. When landscaping a home or anything for that matter, it’s absolutely essential to look at the big picture, not just the small pieces in front of you. Think of it like this. Most people reading an article or book are focusing on, at best, a few words at a time. But in the landscape thought process, they need to think about the words, the paragraph, the book, the chair, and the entire room. Another reason most homeowners landscape on too small of a scale involves both effort and cost. Naturally, the more blood, sweat, tears, and cash you put into something, the bigger it seems. My wonderful junior high art teacher, Peggy Chevelier, at Judson Junior High in Longview, Texas taught me a technique to deal with this problem. I’ll never forget it or her. Everyday we’d leave our project and walk to the back of the room to view it. Oh my, how different things look when you aren’t staring them in the face. I learned this the hard way myself. One of the first landscapes I ever installed involved an immense amount of work, literally years in the making. When I finally finished my parent’s ranch landscape and took the time to view it from afar, much of what I slaved over visually didn’t exist. All that time and effort wasted because I looked at the parts instead of the whole. I had to start over and make all the beds three times the size they were. The size of beds, furniture, pots, art, and other hard materials in a landscape are much easier to understand than the plants are because they all stay the same size. 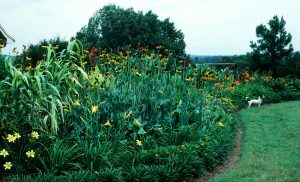 It’s beyond extremely important that every gardener, designer, and homeowner know the ultimate size of every plant that they put in, as they all start out small and they all grow larger, some extremely large. We all know people that planted small shrubs that grew large under windows and small trees that tried to grow into giants under power lines. 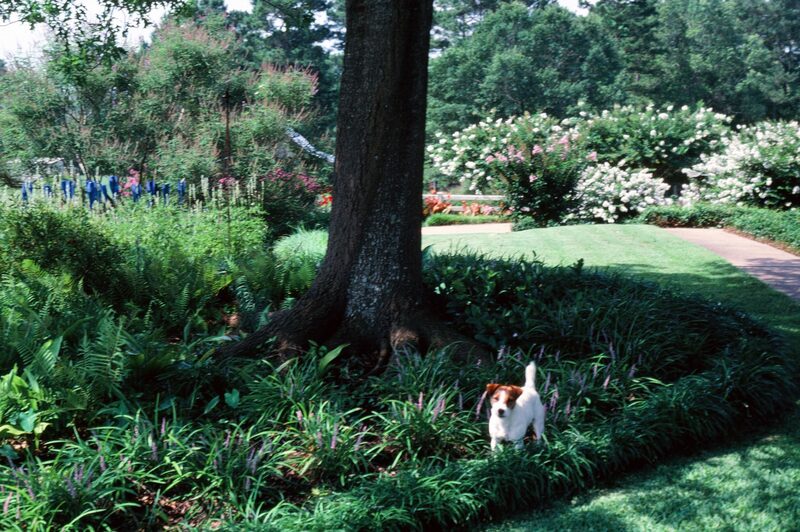 The opposite is just as common with small shrubs and small trees planted around large homes in large spaces. At this point, you’re probably a bit confused on the concept of scale, so I’ll leave you with the elementary version. Small homes in small spaces need smaller beds, smaller plants, and small groupings while larger homes in large spaces need larger beds, larger plants, and large groupings of those plants. That’s oversimplified, but it’s true. The size of everything you use and every space you create in your landscape should tie the size of humans to the size of their home and to the size of their surroundings. Don’t just think about the color of a plant you purchase or whether it’s one of your favorites or not. Think about how big it’s going to get, how many you need, whether they fit into the space you are putting them into, and whether they fit into the overall big picture. More times than not you’ll find you are wasting your time and money on small unrelated decorations that don’t amount to a hill of beans in the big picture. 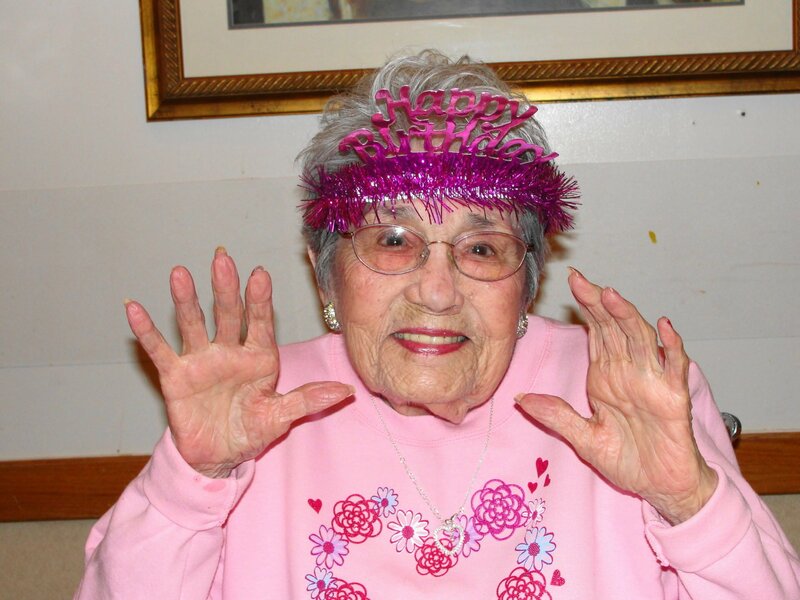 PS: More sad news as July ended with the news of my great aunt Golda Emanis Punkoney’s death. She was one of my Pappaw’s younger sisters. 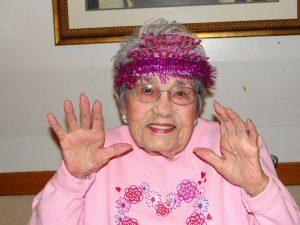 Golda lived to be over 100 years old and was always smiling and joking. I got my storytelling and joking genes from the Emanis side of the family. Goodbye, Miss Golda. I’ll never forget you. What a wonderful tribute to an individual who reveled in God's creations to decorate this earth. My husband and I recently moved into a one-story home on a standard lot in a subdivision. The home had been vacant for over four years. I value your expertise in the landscaping advice you have imparted. What was an overgrown jungle, we are working to 'tame' with plantings that will compliment our new home as well as express our love for gardens. We are endeavoring to make it a sanctuary for butterflies, birds, and bees. If you have any additional advise on how we can create an awe-inspiring sanctuary for all God's creatures, we would invite your expertise. Thank you for your wisdom.